But in reality, it’s not quite that easy. Who are your buyer personas, and what social media platforms do they prefer? How much time and resources do you have readily available? As a business, you should aim to provide helpful solutions to people’s problems. Your product or service should fulfill a client’s need in a very specific way (even if you create their need!). Let’s use the example of Pepsodent toothpaste. In the 1920s, there was no established habit of teeth-brushing. Until Claude Hopkins came along. He acknowledged that toothpaste was not going to sell itself because the general population did not understand the need to brush teeth (even though poor dental hygiene and rotting teeth were considered a national security risk). Interestingly enough, you’ll notice that the Pepsodent advertisements were never actually selling the product. Instead, they educated the readers on why they needed Pepsodent. They created a need that only their product could satisfy. The industry boomed, with over 65% of Americans using Pepsodent daily. So what does toothpaste have to do with my business goals? Hopkins educated the public about a problem (their need for clean teeth), and then provided a solution to that specific problem (Pepsodent toothpaste). Likewise, your business needs to identify what solution they are providing to their customers. have after 1 week? 1 month? 3/6/12 months? convert to leads after 1/3/6/12 months? convert to customers after 1/3/6/12 months? Next consider how social media could impact your goals. Do you have an employee who could create, manage, and track social media content? Is there room in your budget to hire a new person specifically for this task? Does your business have enough existing content or information to create social media content? Also, does your manpower and time align with your goals of how many fans/follower you hope to gain? 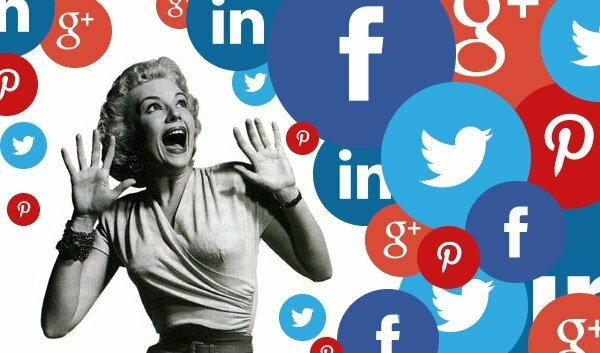 If you can realistically only manage one or two social media platforms, that’s okay. Don’t stretch yourself too thin - it’s better to give 100% to one platform instead of 25% on four. Imagine your audience to be like a person on vacation. As they walk down the street in search of a dinner restaurant, they will overlook the place that has no one inside and probably head to the ones that are partially full (or jam-packed with people waiting outside if they really want an amazing meal!). In the same way, your audience would rather see that you have tons of followers only on Facebook instead of you having a few followers each on Facebook, Instagram, SnapChat, and Twitter. Do you know your buyer persona? If not, that’s today’s homework assignment! Once you know your buyer persona, you’ll know which social media platforms are going to be the most beneficial to your business. Maybe you were hoping to launch a profile on Pinterest, but find that none of your buyer personas are on Pinterest. Maybe they’re all on Instagram instead. Naturally, you will want to be on the platforms that are most important to your buyer personas. Facebook: The largest social media platform in the world with over 1 billion users. Just like everyone used to have their business listed in the telephone book, everyone should have a facebook page. Twitter: Uses real-time communication with more customer interactions. This is the most common platform that followers use when they have a question, complaint, or comment for a business, and they expect a response within the hour. Instagram: Use this for your great images or short videos to attract a younger audience. Just make sure that your images are of people actually using your product (stock photos are to be avoided!). Pinterest: This is essentially a virtual idea board. Post visually pleasing pictures of your products here. Note: mostly women use Pinterest. LinkedIn: This provides a virtual platform to social network with other professionals. Sharing personal posts from members of your company and commenting on other businesses posts is a great way to build your reputation. Google+: Although not as popular as other social media platforms, it is a google product and should not be overlooked (especially since it is more highly linked to SEO). This is especially helpful to expand your reputation since users can leave reviews, which corresponds to a star rating that is displayed on a google search. After reflecting on your goals, resources, and buyer personas, how many platforms do you think your company should pursue? Which ones, and why? Don’t forget that your social media profiles should be establishing your identity and forming a relationship of trust with your fans/follower.